Join the DC Department of Parks & Recreation for our first annual "Healthy Hearts" Walk on Saturday, February 10th! 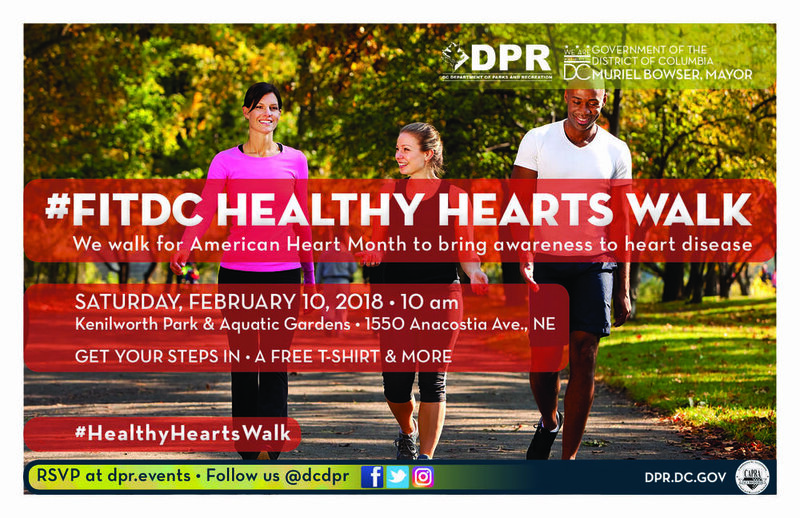 February is American Heart Month and DPR is celebrating the ongoing commitment to healthier hearts by gathering for a brisk walk through one of DC's nicest parks... the Kenilworth Park and Aquatic Gardens! Admission is free with RSVP and participates will enjoy a good workout, a free t-shirt and giveaways from some of our partners!